National Geographic Kids ist eine britische Zeitschrift und erscheint 10 mal im Jahr. Der Preis für ein Jahresabonnement beinhaltet die Zustellung nach Deutschland, Österreich und in die Schweiz. 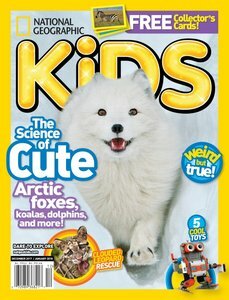 National Geographic Kids is an award-winning Magazine edited for children eight years old and up. Each issue is filled with challenging puzzles and games that will have kids learning and having a blast at the same time. 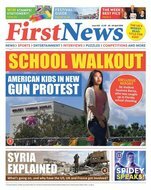 The Magazine is packed with articles on wildlife, nature, the environment and space that encourage young ones to explore the world around them. National Geographic Kids incorporates different cultures into stories to encourage children to develop an enriched global awareness and understanding. Kids will love the articles on species of animals from around the world which are accompanied by the beautiful and vivid photography that has defined the National Geographic name. With great movie reviews and fun scientific experiments, National Geographic Kids is a fundamental read for growing minds with a sense of curiosity and thirst for knowledge.